Welcome to S. Helen's, a vibrant, growing parish in the Diocese of Durham, located in St Helen Auckland and serving the communities of West Auckland, St Helen Auckland, Tindale Crescent, Spring Gardens, Bildershaw and Hummerbeck. Our mission is to worship, love and serve our Lord Jesus Christ. You are warmly invited to worship with us. We offer a Mass every single day of the year. On Sundays the Parish Mass is at 10:00 and we also sing Book of Common Prayer Evensong at 18:00. Morning and Evening Prayer are said daily 09:00 & 18:00 respectively. The daily Mass and Offices are short and can sometimes be quite beautiful in their simplicity. The Sunday Mass is more elaborate and in the Anglo-Catholic tradition of the Church of England, with full ceremonial and choir. During the Sunday Mass a Children’s Sunday School also meets in the "Ark" Children of all ages are most welcome to join in our worship. The worship of Almighty God is at the centre of our parish life. 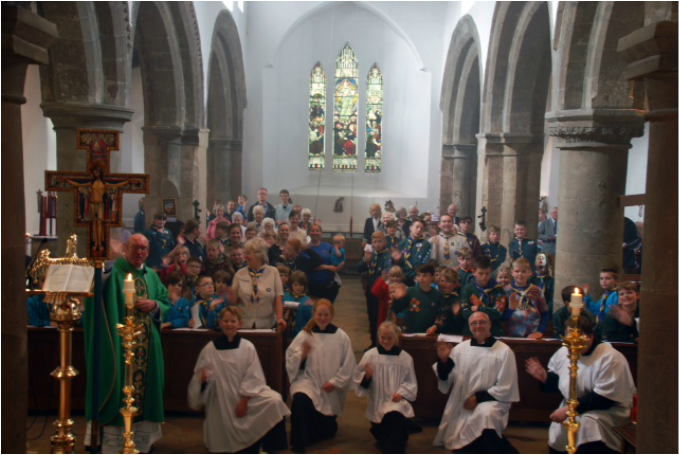 Service within the community flows from this to our various youth groups, messy church, lunch clubs, ladies' and men's groups, and social events. These are in addition to our school and community work. A warm welcome is always assured at St Helen Auckland.